A table lamp model #9224 by Paavo Tynell for Idman Oy, Finland, 1953. 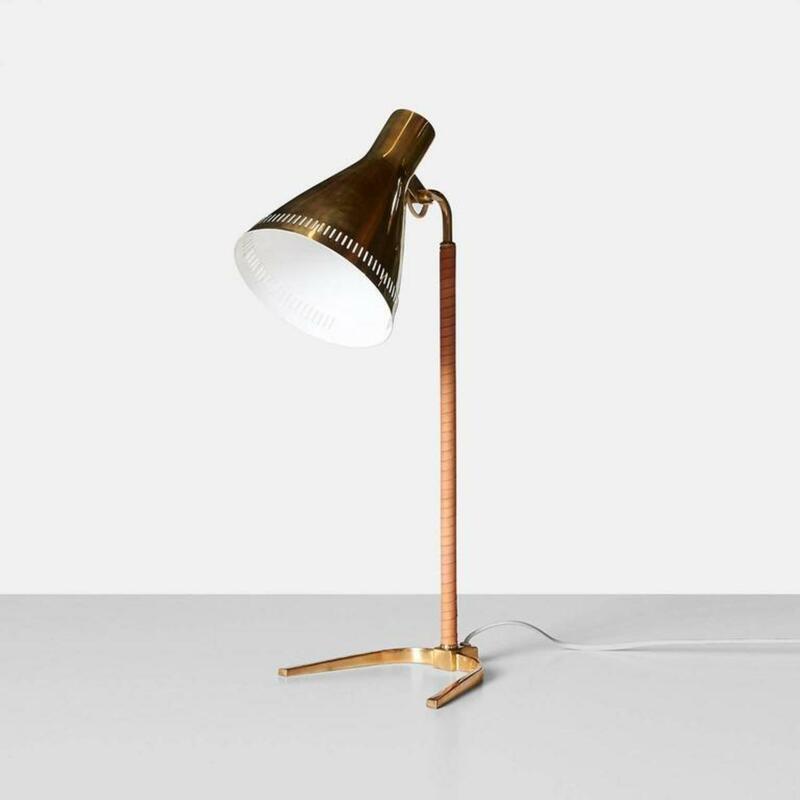 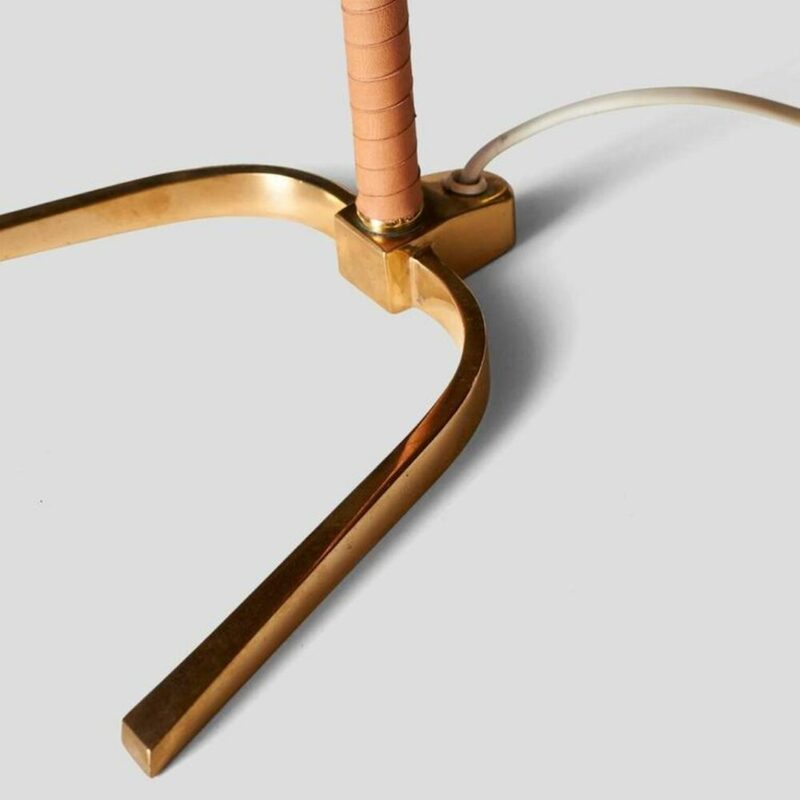 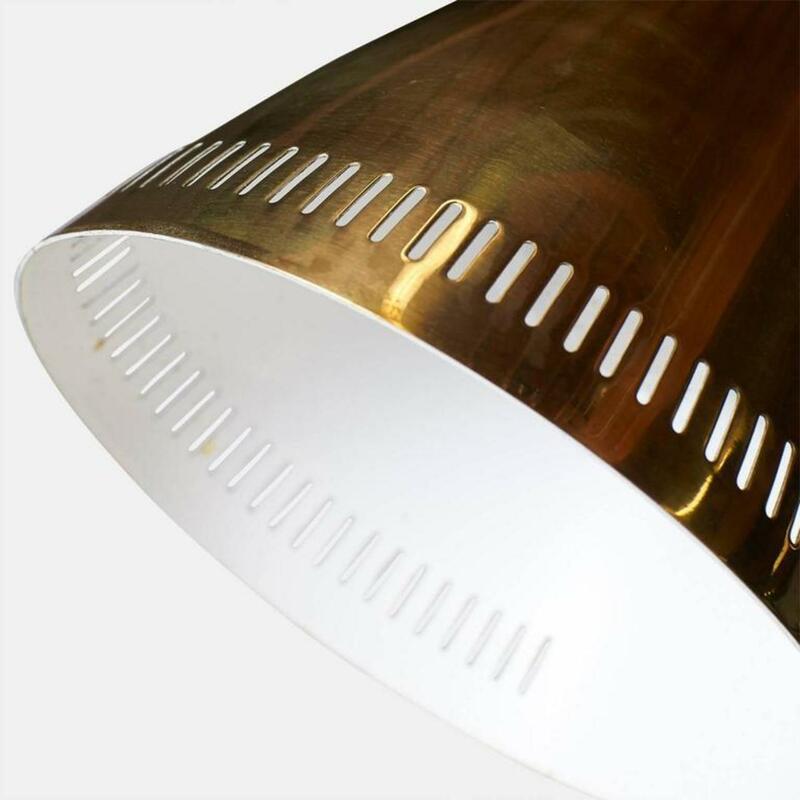 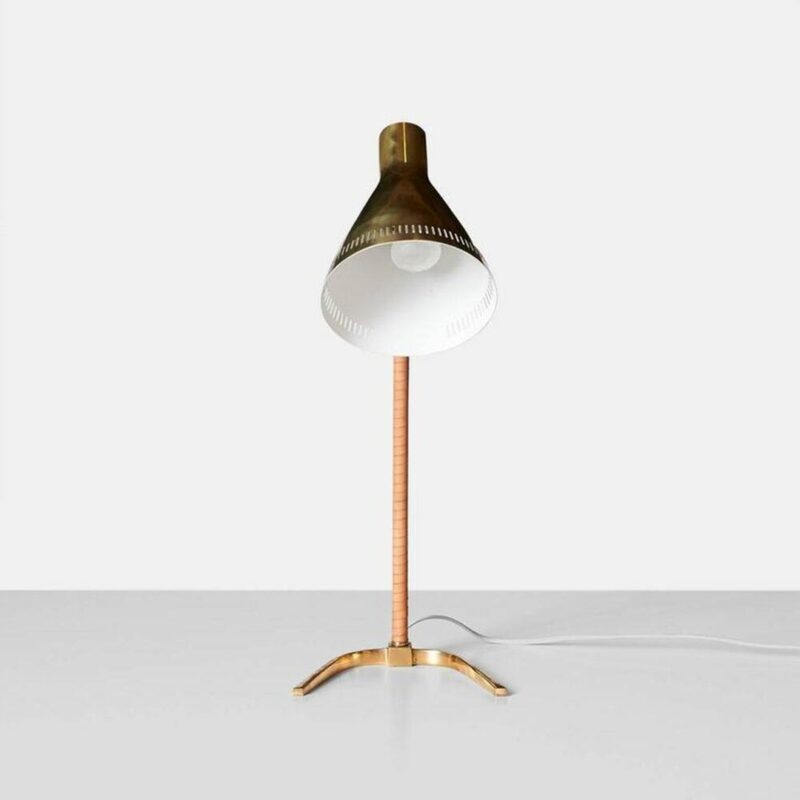 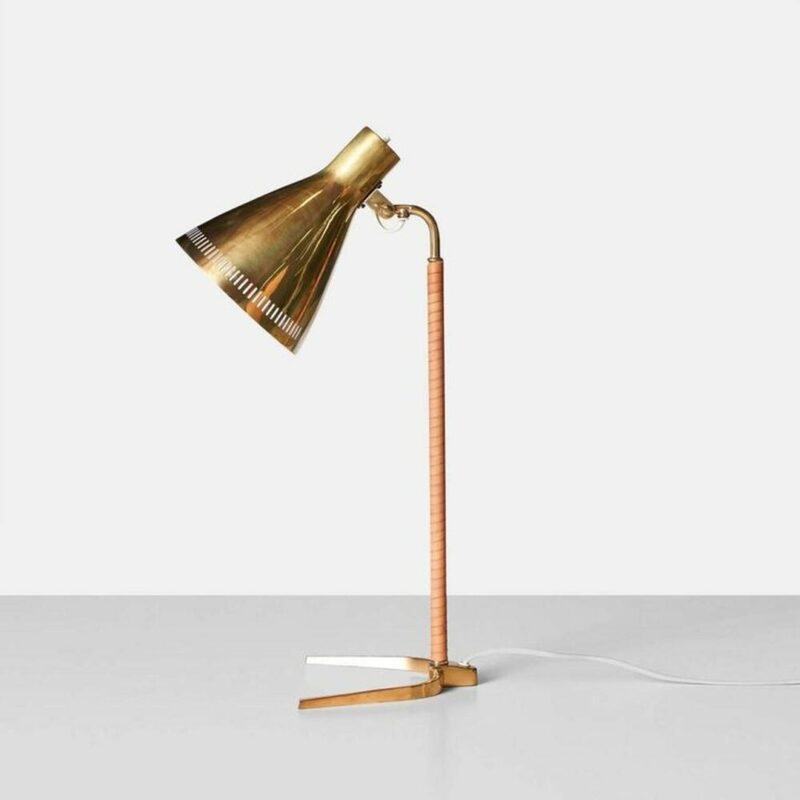 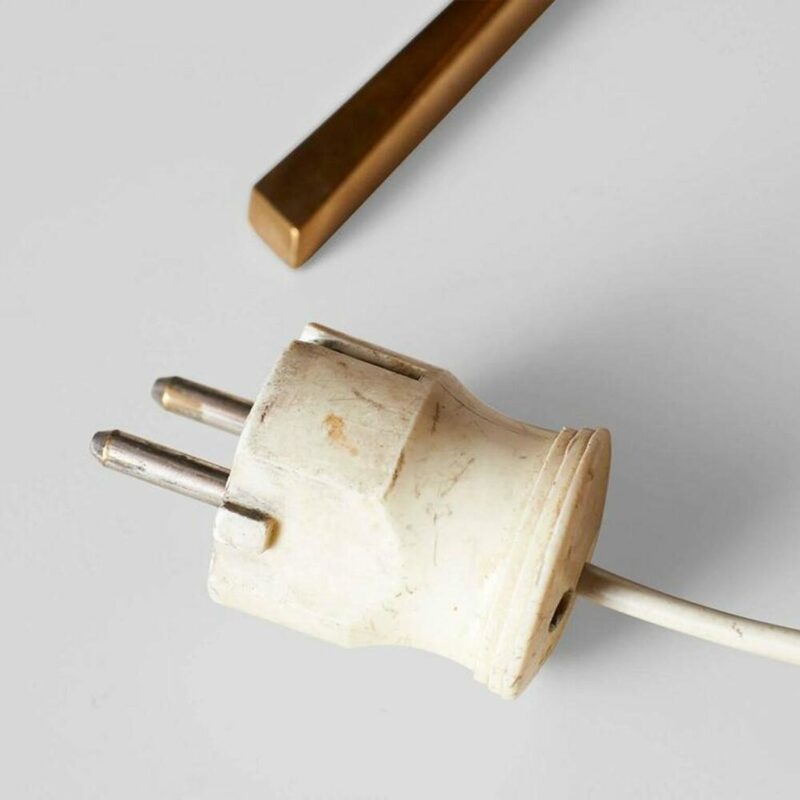 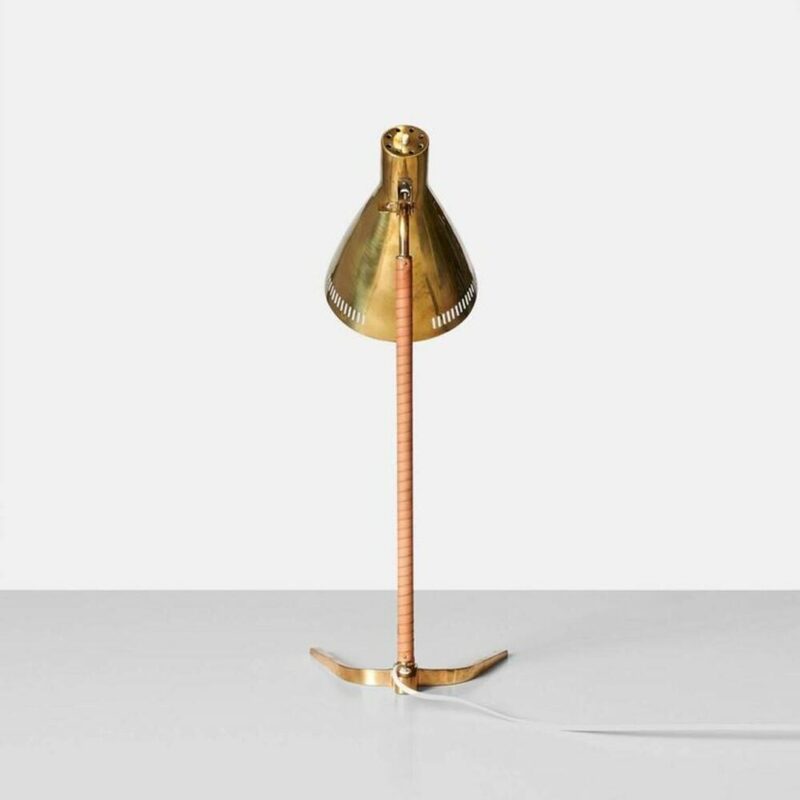 The lamp is in solid brass with an adjustable shade and a perforated edge. 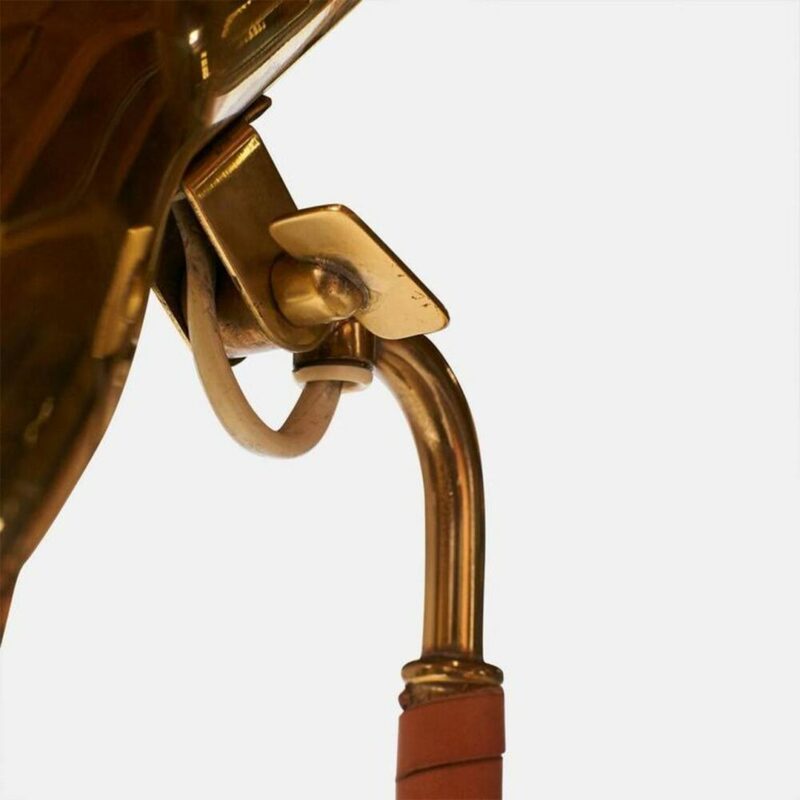 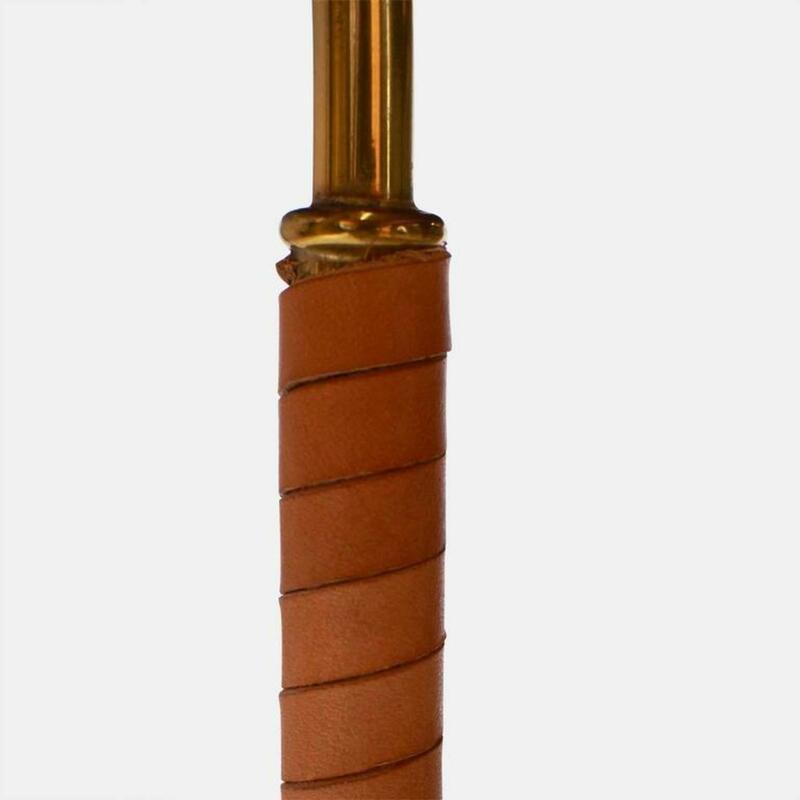 The stem is wrapped in leather and sits on a horse shoe shaped base.